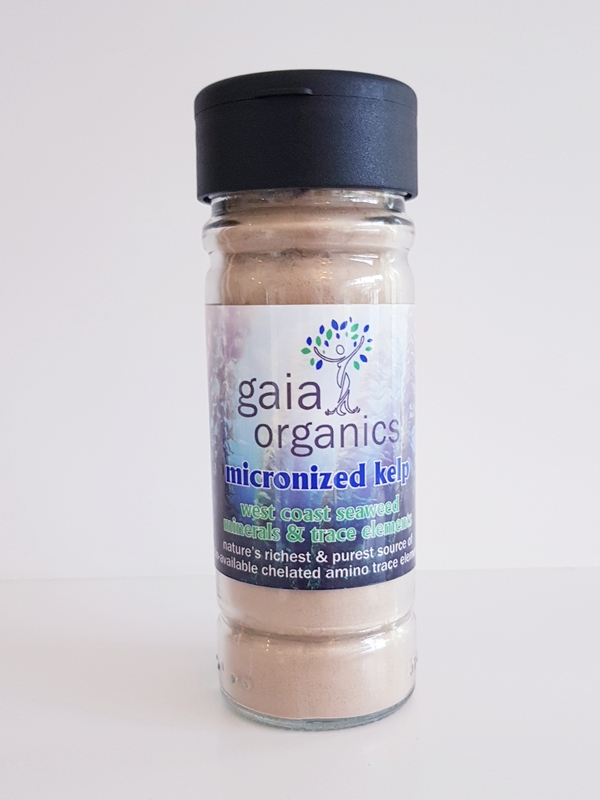 Trace elements are essential to all critical life-dependent enzyme pathways, including cellular immunity, but are increasingly deficient in modern foods. All earth elements leached from our soils are bio-accumulated by kelp in an optimum chelated form. 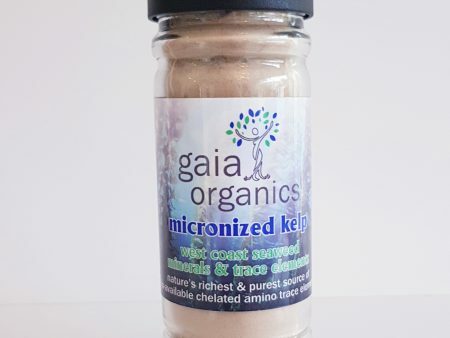 Avoidance of nutrient damaging irradiation (ozonization sterilized instead) and focusing on ultra-micronization, ensures that critical nutrients are up to 1000 times more bio-available than with kelp tablets. Serving suggestion: up to ¼ of a teaspoon daily in water, fruit juice / smoothies, vegetable juices and cool food. Ensures that mineral deficiencies from widespread soil depletion, cooking and processing are more than recovered. Nature’s richest source of Calcium, Magnesium, Potassium, Iron, Iodine and Manganese. An exceptional source of all other nutrients.